How to look after grey hair. Whether you’ve spotted your first grey, you want to ditch the dye or you want to rock silver strands embracing grey hair is now a thing. Once you’ve made the decision to embrace your grey, it’s simply a question of how to look after your hair to get the best from it. We advocate taking an individual approach. Having said that, as we’ve talked to clients over 35 years in the salon, there are some common questions. They range from choosing the best shampoo for grey hair to the best hairstyles for grey hair to questions on how to transition from coloured hair to grey. 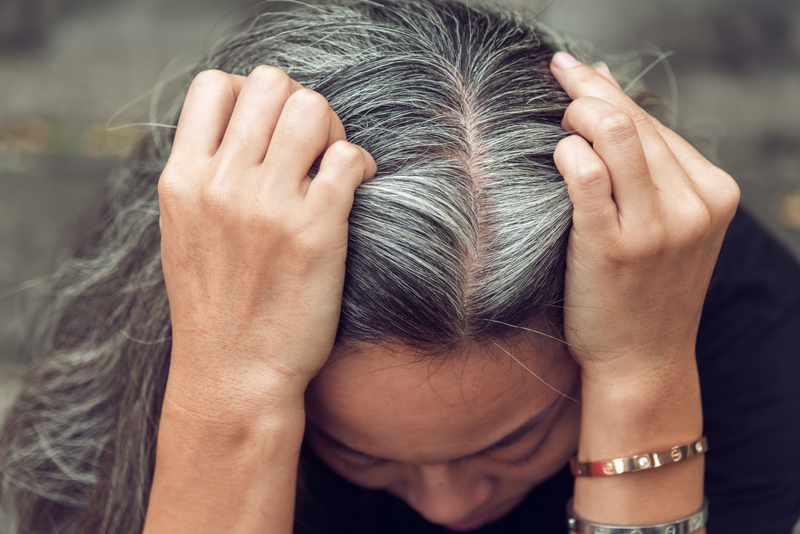 We’ve put together a list of the most common questions for everything you need to know about how to look after grey hair. We can’t talk about grey hair without talking about the shift in attitudes to ageing. This is important because it does have an impact on how individuals feel about the process of ageing and what going grey means for how they see themselves and how they perceive others see them. We’ve been in the hairdressing business for a long time and we’ve seen many changes. 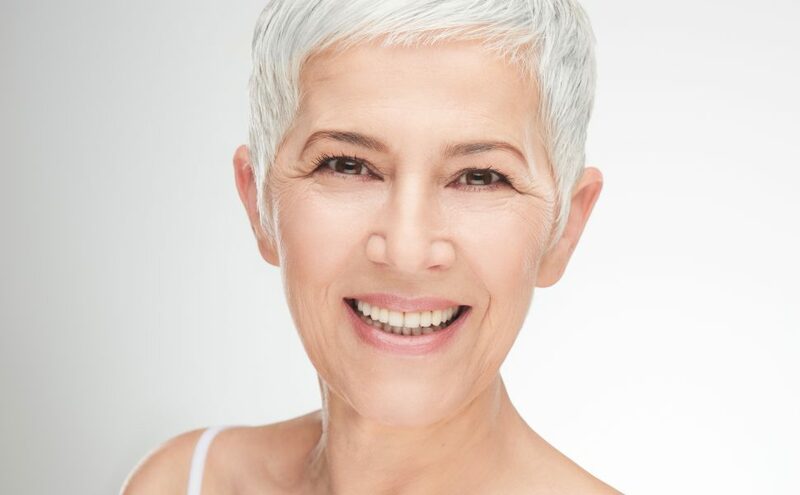 One of the most positive changes is that women of all ages and younger women, in particular, are choosing to embrace their grey hair. It’s very much a personal choice but we think it’s wonderful to see women celebrating their natural grey. If you are undecided about growing in your grey, we recommend taking some inspiration from the fabulous #silversisters of Instagram. Which shampoo is best for grey hair? As hair becomes grey it does change texture so if you are finding that your usual shampoo is not working as well as it once did it’s time for a rethink. We’d like to start by busting a myth. Grey hair is coarser. Actually, that’s not always the case. Although some of us can start to go grey in our teens, the majority of us will start to get more grey hair in our thirties. As we age hair tends to get finer, not thicker and our scalp produces less sebum (a natural oil produced by our sebaceous glands to moisturise hair). The reduction in sebum results in drier hair and can give grey hair a rough, wiry texture. So when thinking about how to care for grey hair, there are two things to consider. Grey hair tends to be finer and drier. Choose a shampoo to give grey hair volume. You can increase the body in finer hair by choosing a volume-boosting shampoo. One of the best ingredients for getting volume in hair is pro-vitamin b5. A natural ingredient pro-vitamin b5 penetrates the cuticle, getting moisture right to the core of the hair. When hair is moisturised from within it plumps out the cuticle, making it thicker and giving the hair more volume and body. If you want more volume-boosting tips for your hair, check out our blog Salon Know How: How to Care for Fine Hair. How do you keep grey hair moisturised? As we’ve said above, grey hair tends to be a combination of fine and dry. Once you’ve chosen a good quality shampoo to give hair body, choose a hydrating conditioner to give grey hair the extra moisture it needs. As well as thinking about which products are best for grey hair, its also important to think about how to take care of grey hair. Building a routine of regular conditioning is the route to getting grey hair to look its best. So here’s the second myth we would like to bust. The more often hair is washed, the drier it becomes. We don’t agree and here’s why. With over 35 years in the hair business, we have washed many heads of hair and, in our experience, hair that’s washed and conditioned the least is the driest. All hair, including grey hair, looks its best with a regular routine of cleansing and conditioning. The important point here is that you are not just washing your hair. You are cleansing your scalp and you are moisturising your hair with conditioner. When the scalp is clean it provides the best environment for healthy hair growth. When hair is too dry, some common problems occur. Hair becomes prone to breakage, tangling and fly-aways. The only way to combat this is by keeping hair hydrated. The best way to keep hair hydrated is with regular conditioning. So when thinking about how to look after grey hair we recommend a routine of regular cleansing with a good quality gentle shampoo and hydrating conditioner. For most people washing the hair 2-3 times a week works. If you feel you need to wash your hair more frequently that’s fine too. The main thing is to keep your scalp clean and free of build-up and keep your hair well moisturised. Not that different from how you look after your skin really. When our clients ask us how to look after grey hair, we encourage them to think about their hair in the same way as their skin. Skin and hair are essentially the same. Both are made up of keratin and both need moisture. As we age we need more moisture. Choosing a good quality, hydrating conditioner is one of the best things you can do when caring for grey hair. A lot of mass market conditioners contain silicones. Silicone is a type of plastic that coats the hair and gives it a slippery feel. It gives the hair the feeling of being hydrated without actually giving any moisture to the hair. This coating can be heavy on the hair, leaving it flat. We formulate our natural conditioners with pro-vitamin b5. That’s because it’s one of the few ingredients that can penetrate the outer layer of the cuticle and moisturise right to the core of the hair. When hair is moisturised, it plumps out the cuticle making hair feel and look fuller with more body. Apply conditioner to the ends and mid-lengths of the hair. Avoid the roots. Work the product up in the palm of your hands before you apply. This gives an even spread of conditioner on the hair. Its a good way of avoiding build-up of product in one area of the hair. Our Hydrate and Shine Conditioner is very concentrated so you don’t need a lot of product. We recommend using around half the amount that you would use with other products. If you want extra moisture, don’t apply more product, just leave on for a little longer. Why is my grey hair so wiry? Whilst our hair becomes finer as we age, its not uncommon for grey hair to feel and appear more wiry and coarse. This is because, as we age, our sebaceous glands in the scalp produce less sebum. Sebum is a natural oil produced by the body to moisturise our hair. 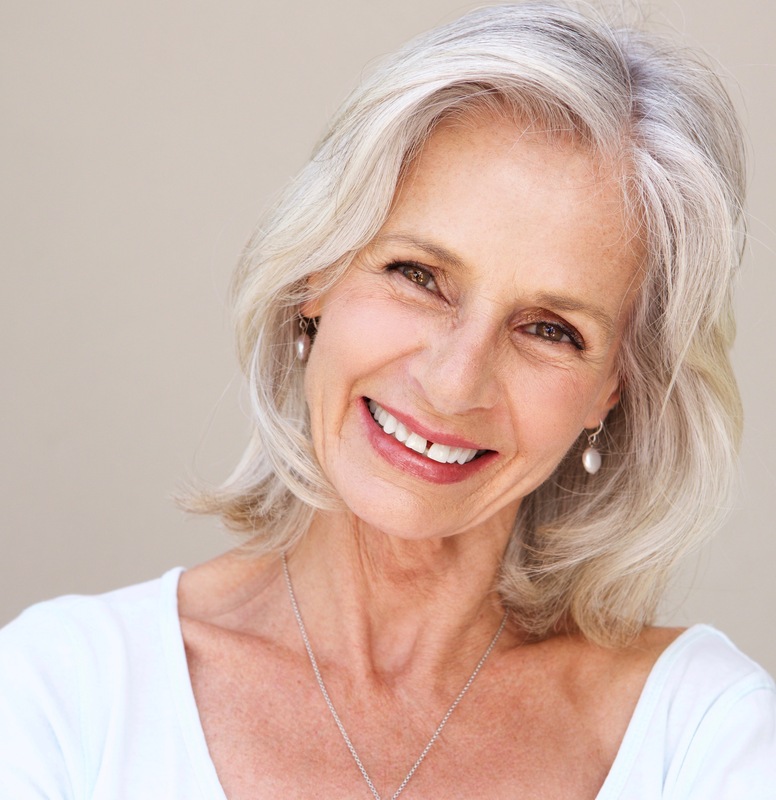 Because we naturally produce less sebum as we age, grey hair becomes drier and tends to have a rougher texture. The answer is hydration. So how do you moisturize grey hair? If you are finding your hair is wiry and you are wondering how to look after grey hair a good place to start is with a weekly hair mask treatment. If you have yet to experience the moisture-boosting benefits of a weekly hair mask you will be amazed at how a regular, weekly treatment can soften, smooth and shine grey hairs. The best way to achieve hydrated hair is to use a good quality deep conditioning hair mask once a week, every week. Our Restore and Shine Hair Masque won Best Hair Mask in the Natural Beauty Bible Awards. It contains pro-vitamin b5, avocado and glycerin to give hair a moisture boost. Repairing Lavender and softening Sage are partnered in our Restore and Shine Hair Masque to smooth and soften coarse grey hairs. Why is my grey hair so dry? We’ve talked about the scalp producing less sebum as we age. With less of this natural oil, grey hair tends to have a rougher, drier texture. 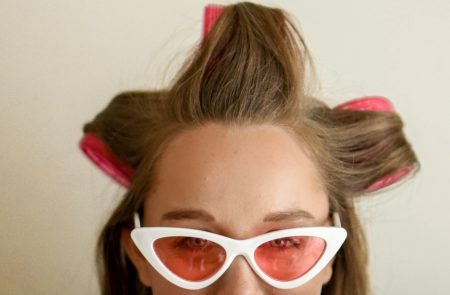 There are ways to combat dry hair. Try these simple changes reduce dryness and maintain moisture in grey hair. Regular conditioning and a weekly hair mask treatment will help to build and retain moisture in dry, grey hair. Leave your conditioner on for a couple of minutes longer to let it soak up the moisturising ingredients. Sleeping on cotton pillows can cause hair to become dry and rough. Choose a silk or satin pillowcase to reduce hair breakage as you sleep. Turn down the heat on the hair dryer. Choosing a cooler setting is less drying for grey hair. Turn down the heat in the shower. Washing hair in warm water rather than hot water is much less drying for the hair. Use a heat protector before styling to reduce heat damage and breakage. Our multitasking Styling Range detangles, offers heat protection and contains Keratin and Argan oil to treat split ends. How do you keep grey hair healthy? Keeping grey hair healthy takes a bit of effort but it’s worth the investment. Get into a good routine and your grey hair can look and feel healthy. Over the years of working with all hair types, including grey hair we’ve learnt a lot about how to keep hair healthy. Here’s our definitive list for keeping grey hair in the best condition. Look after your scalp. If your scalp is clean and healthy it’s the best environment for healthy hair growth. We use Nettle in our Revive and Shine Shampoo as it balances scalp condition and improves circulation. If the scalp has good circulation and a healthy flow of blood, it supports the growth of healthy hair. Keep ends in check. Drier hair tends to be subject to more breakage. 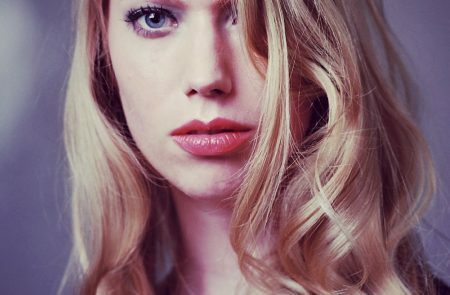 If you let split ends linger they tend to ride up the hair shaft, damaging more of the hair. See your stylist for regular trims. Give your hair a day off. If you use heated styling tools, they can be drying for grey hair. Let your hair air-dry at least once a week. Why not combine this with a weekly hair mask treatment? Never used a hair mask? Take a look at our recent blog on hair masks and find out why you should build this essential treatment into your weekly hair care routine. We like to take a holistic approach to healthy hair. Eating a balanced diet, including fruit and vegetables is the best way of ensuring you grow healthy hair. Vitamin C found in many fruits and vegetables helps the body absorb iron. Iron helps the body to grow healthy hair. Drinking water is not only good for your skin. Hair loves it too. Keep hydrated for healthy hair. Are short haircuts better for grey hair? Not necessarily. As we’ve discussed, grey hair does tend to be finer. Generally, short and mid-length styles give more options for fine, grey hair. But that doesn’t mean you have to cut your grey hair short. For grey hair to look its best, two things are important. Firstly it must be hydrated and in good condition. Secondly, it needs to be well-cut with a balanced shape. Take some time to talk to your stylist about what shape would work best for you. How can I make my grey hair shine naturally? The secret to shiny, grey hair? Hydrate, hydrate, hydrate your hair! This is the same for all hair but more so for grey hair. As grey is naturally dry, you need to do a little bit more to get your shine on. When hair has is moisturised it shines. So if you’ve got a good routine of regular conditioning and a weekly hair mask treatment that will give you a good foundation. Once your hair is conditioned and masked what you do next is important. Your choice of styling product can make the difference between dull, flat hair and full-bodied shine. Here are our do’s and don’ts for choosing the right styling products for grey hair. Do choose styling products that condition as well as style. There was a time when the only styling products available contained harsh ingredients such as alcohol denat. They dried the hair leaving it looking dull. Not anymore. There are plenty of innovative styling products on the market. Choose a styling product that conditions as you style. This will help to maintain moisture and shine. Do use a product that has heat protection. Heat is drying for the hair. Reduce the impact of heated styling by choosing styling products that give heat protection. Do use styling products that boost the moisture of the hair. Our latest ingredient in our mission to banish dry hair is Sugar Beet. Sugar Beet increases the water retention of hair fibres and helps hair hold moisture for longer. Our Styling Mist for Natural Hold and a Glossy Finish contains Sugar Beet to maintain moisture and shine in between washes. Don’t use waxes. They are difficult to wash out. They tend to build up on the hair and scalp, clogging up the scalp and making the hair look dull. Don’t use heavy oils on your hair. Oils sit on the hair, attracting dirt from the atmosphere and making hair look dull. Can I highlight grey hair? Yes, you can. Highlights or lowlights are a good option if you want to soften your natural colour. Our advice is don’t try this at home. Speak to a professional colourist in a hair salon. They’ll be able to advise you about the best blend of colours for your hair. Remember colouring hair is drying so keep hair hydrated with a deep conditioning hair mask. How do I transition from coloured hair to grey hair? If you are ready to kick the hair dye and grow in your natural grey, make a plan to transition. If you’ve been covering grey hair for some time, it may feel like a big step to stop colouring your hair. So if you’ve taken the decision to go back to your natural colour, its good to have a plan. Here’s why. It takes time to grow in your natural colour and having a plan will help you on the days when you want to reach out for the hair dye and cover the regrowth. In our experience, women come to this decision at different points of their life and for different reasons. Start the process without a plan and its easy to be consumed by doubt. There are different options for transitioning from coloured hair to grey hair. We share some thoughts on the options for transition. We call this the ‘just do it’ approach. Stop colouring your hair and let the regrowth show through. This approach is all about attitude with a capital A. The regrowth of your natural colour will leave a harsh line in the hair but its the least costly and with the right attitude you can make this work. Here’s how. First off, we refer you back to the #silversisters of Instagram. These women are out and proud, showing off their regrowth of grey hair and doing it in style. If you are having a bad day and that harsh line is getting you down, the #silversisters will give you the inspiration to keep going. Keep your hair in good condition. A weekly deep conditioning hair mask is essential. If your hair looks hydrated and shiny, your hair will look better and you’ll feel better about it during this transition phase. Get a great haircut. A well-balanced shape with plenty of movement can give you a fresh new look. Different styles can take away the emphasis on those pesky roots or you could even make a feature of them. Talk to your stylist about what would work for you. Get your lipstick on. This is where the attitude comes in. It’s not just about lipstick. It’s about washing and styling your hair, putting on your make-up, holding your head and your regrowth up high and feeling confident about your choice to show off your beautiful, natural colour. Short styles are not the only option for grey hair. However, during the transition period, if you want to speed up the process of getting back to your natural colour, this is an option. A shorter style and regular trims will speed things up. We recommend booking a consultation with your stylist. Try different textures and shapes to see what works best for you. Why not experiment as you transition and have some fun? Highlights and lowlights are a great way of softening the line you get from regrowth in the first few months of transition to grey. Talk to a professional colourist about the best colour options for your hair. Done professionally, your grey hair can be worked into the colour as natural highlights and give you a more natural look. Its a great way of gently growing in the grey. It’s important to keep hair well hydrated during this process and we recommend using a hair mask for dry or colour-treated hair to keep your hair in good health throughout. We’ve always preferred the option of using semi-permanent colour when helping clients make the transition from coloured hair to grey. That’s because semi-permanent colours are much more gentle on the hair than permanent colour. They don’t fully cover the grey and the grey becomes a natural highlight, giving different tones to the hair. As the semi-permanent colour washes out of the hair, you can avoid the hard line that comes with permanent colours. Talk to your stylist about this option for growing in your natural grey hair. Grey is generally finer and drier. Choose a shampoo for volume and a conditioner for moisture. Grey hair needs regular cleansing and conditioning to keep it hydrated. Just like your skin. Wash and condition 2 to 3 times as a general guide. A weekly deep conditioning hair mask. The best hair mask for grey hair will hydrate whilst giving it body and shine. It will help smooth and soften wiry grey hair. Reduce dryness and breakage of grey hair by sleeping on a silk or satin pillow, turn down the heat on your hairdryer and wash hair in warm, not hot water. Grey hair can shine naturally if you keep it hydrated. 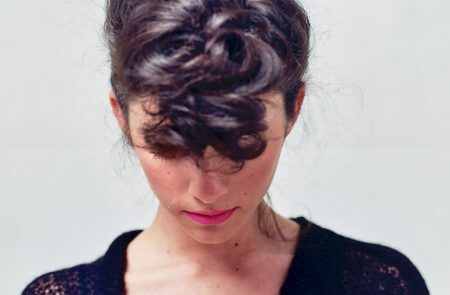 Avoid drying styling products and opt for styling products that condition the hair. Short cuts are not the only style for grey hair. Keep hair in good condition, with a great haircut and any length of hair can work. Transitioning from coloured to grey hair? Talk to your hairdresser and make a plan that works for you.